Johnny was already established as the kitchen designer for high profile clients by the time Mark joined him in the summer of 1980. 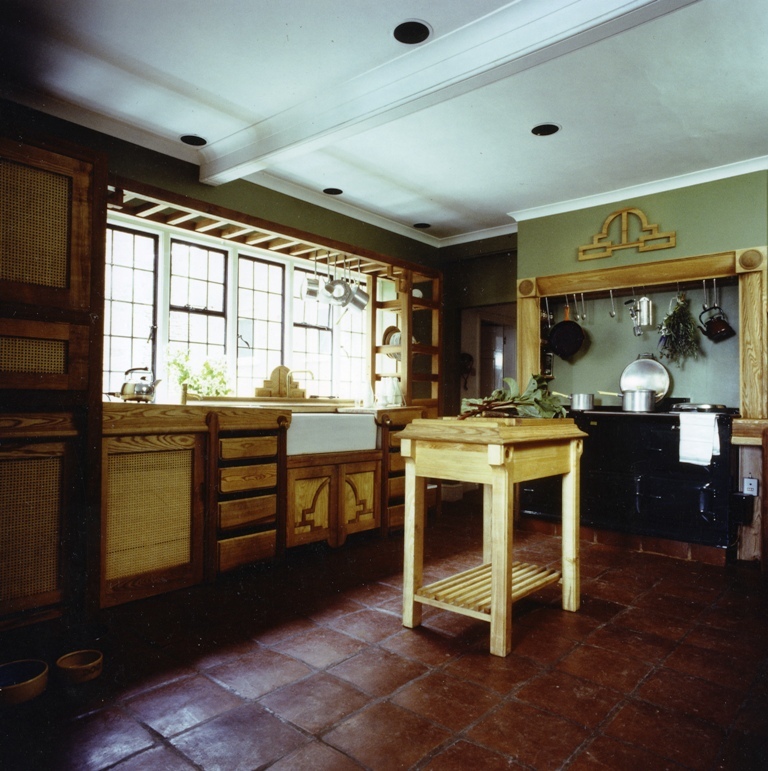 The images above show the essence of the aesthetic and principles of a kitchen facility developed by Johnny during his early years when first establishing himself as the go to guy for a good kitchen. Johnny was born into a significant Kensington family; it’s heritage dating back to Lady Grey, the Elizabethan pretender to the Throne of England. At this time Johnny’s father was the Chief Medical Officer at Imperial College and had his private practice consulting room in the ground floor of one of the families London homes. This was also Johnny’s home and studio, a large Georgian terrace which accommodated the coming and goings of his lively siblings, five in all and numerous family friends. Each possessed of character and a dynamic nature involved in some interesting enterprise or another. The family also had a farm cottage and barn in Sussex which served as their weekend and holiday home, the family forsaking foreign holidays to afford school fees. Johnny and his brothers each went to Wellington School. All of them had a keen interest in antiquities, restoring original Romany caravans, and accumulating and restoring early period furniture. 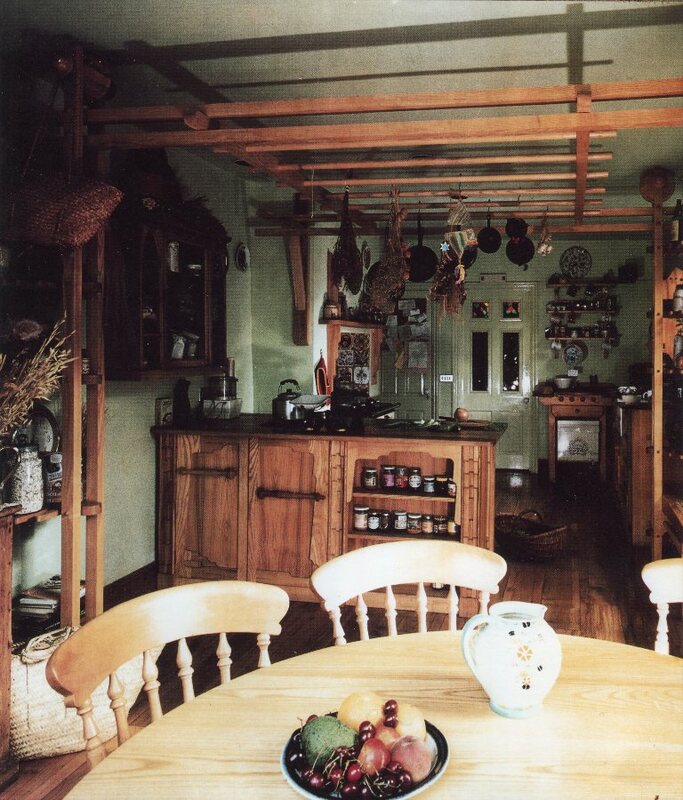 Cooking was a serious part of all their lives and was very evident in both their homes. There was always a home baked loaf of bread resting from the oven or dough proving in a bowl covered by a damp cloth. Fresh herbs and garlic bulbs hung from butcher’s hooks nailed in to the exposed ceiling joists, a huge can of Italian olive oil sat on the window sill, all this in the cramped lower ground floor kitchen appointed with a Cannon gas cooker, Belfast sink with its teak drainer and a butcher’s chopping block in the middle of the room. As it happens his mum’s sister was Elizabeth David who was clearly a massive influence for Johnny infusing her culinary indicts and colourful nature into the whole family, but more so into Johnny who carried them with him for his entire carrier. Johnny left school, having developed his interest in making things in wood and observing the details incorporated in early period furniture and architecture, to attend the Architectural Association from 1970-76. This is an exclusive school of architecture requiring its students to be high achievers and being able to pay its fees. Most Architects of note went there. Johnny was no exception, whilst not engaging in the stuff of building buildings his work within his chosen field of kitchen design is without doubt considered important and note worthy within the industry. Mark walked into Johnny’s life, him having been introduced to Johnny by the director of the then London Design Council during an exhibition of Mark’s work there. A talented young man, Mark was given this opportunity to enter into a world of creative society folk not known to him before with only a naive arrogance, blind self confidence and an exceptional work ethic. The young apprentice to Johnny was able to apply himself to realising Johnny’s ambitions by taking the already established aesthetic and design principals Johnny had evolved for himself and transcribe them onto the numerous projects they undertook in those two years, these being evident in the other pages of this site. Mark’s ambitions for his own and Johnny’s future were excessive and most likely, inappropriate for such a young man at the beginning of his carrier. In fact a previous client of ours, exclaimed only recently that she found Mark, at that time, to be conceited, charmless, rude and unbearable. Mark was insistent that Johnny should apply himself to the commercial aspects of a developing design practice. Clearly this was a premature aspiration for Johnny to embrace at that time and one not to be realised by Johnny until later in Johnny’s career. 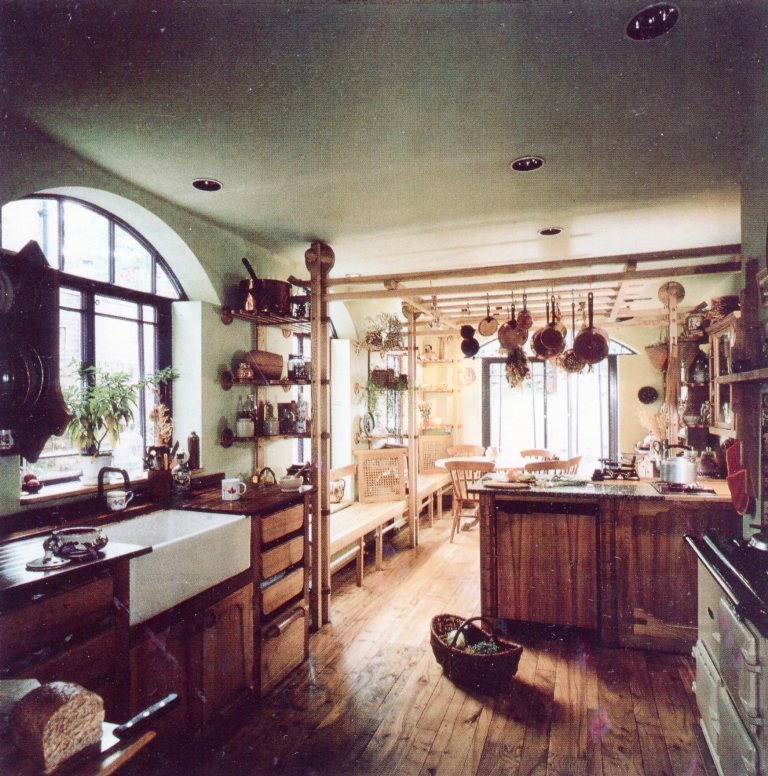 Mark moved on to open a kitchen design emporium in Covent Garden introducing to the high street the concept of the Unfitted Kitchen, ironically also featured at the London Design Council winning the Kite Mark Award for design excellence in 1983. 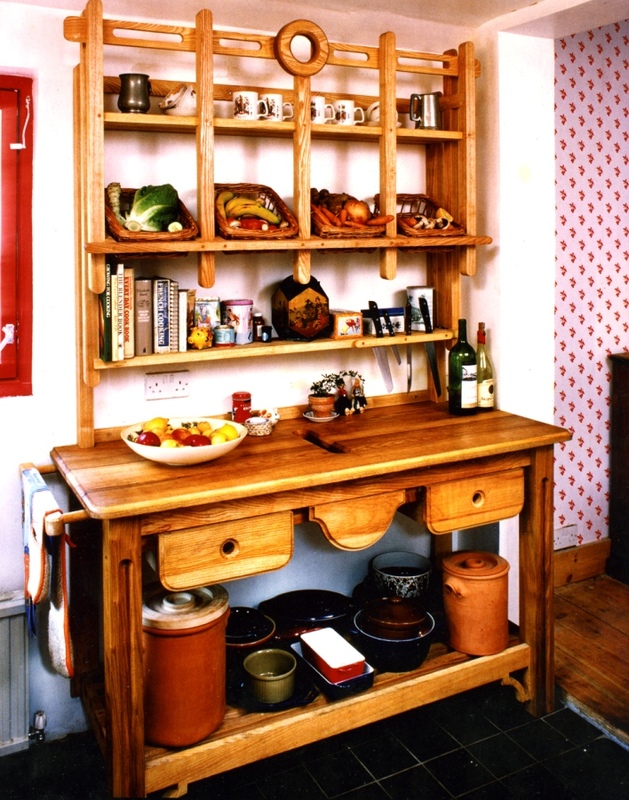 The showroom displayed the first contemporary, British designed kitchen range to be manufactured in the UK.